5 Qt. 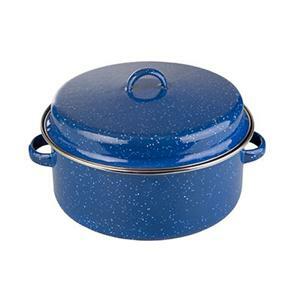 Enamel Cook Pot. Size :5 qts. Kiln hardened blue and white enamel. Steel edges help protect against scratches and chips. Blue.